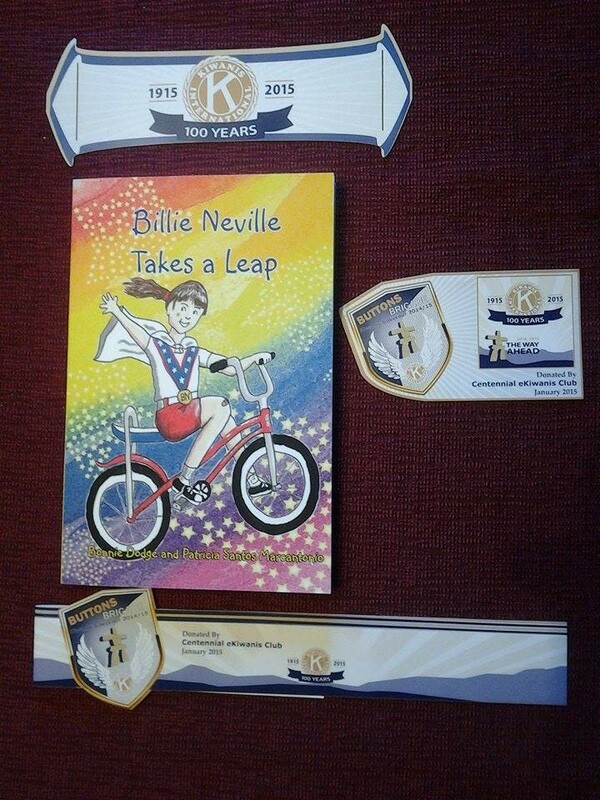 Revis Turner, Utah Idaho Kiwanis Governor, donated BILLIE NEVILLE TAKES A LEAP to a book project at the national Kiwanis gathering in Detroit earlier this year. Revis said the project was to donate 100,000 children’s books to the Detroit area schools and libraries. Each district governor was asked to bring a book that represented their district. “I thought yours would be very interesting read. We included bookmarks and book labels with the books,” he said. The young adult book, written by Bonnie Dodge and Patricia Santos Marcantonio, is about a girl who dreams of being a daredevil during the excitement of the Evel Knievel jump over the Snake River Canyon near Twin Falls, Idaho. The book also received an Idaho Author Award in 2015.